Family Vacation, How to get an experience without the price tag. Pacific Northwest. Admittedly, I am a discount queen. I utilize coupons when shopping, coupons when traveling. I love local auctions (you’re TV station or radio station may have them) and yeah, I use ebay, amazon and groupon where I can. I also LOVE to travel. I mean really, really love to travel. But with 3 kids, a spouse and a pretty tight budget, I don’t tend to do so outside of work. After an incredibly emotional year of ups and downs , I really wanted to get my family the heck out of dodge. Our favorite place is the Pacific Northwest, Hands down. From the pristine Cascade Range, The sleepy fishing villages on the islands and peninsula to the diversity of the Seattle and surrounding areas, our family never finds a shortage of adventures here. And this year was no different. We arrived back home in Montana from our 9 day adventure to Seattle and we had more then a fantastic time on less then 1300.00 dollars (our original budget was 1700.00) On that budget we managed to take the kids to theme entertainment locations, museums, we went Kayaking, still stayed in hotels took in villages and and the Puget Sound, stayed in a vacation home and manged to have guests to dinner two times! This amount includes gas and taxes and food as well! This budget was stretched out over 4 months. So how did we manage so much on a budget? The first thing is to plan. While I do enjoy flights of fancy, planning will be your biggest money saver. End of story. I started planning our trip in November with places to stay and a plan started to emerge and take shape. I learned that there are many affordable if not cheaper alternatives to traditional hotels. running between 54-74.00 a night, but with breathtaking views your hotel could never offer. With a family of 5 (4 went on this trip) we found hotels not only expensive but limiting and restrictive with two young ones in tow. We really did not want to spend our evenings hushing the boys when they recounted their exciting day. 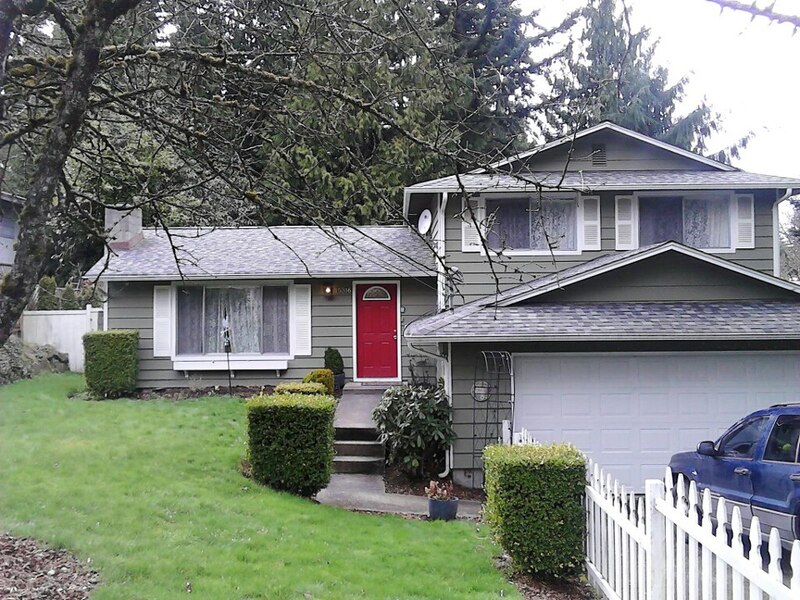 Instead, we opted for a vacation home in Lynnwood Washington as our home base. Many can be found Here, But if you are in the Seattle or Olympic Pen. Areas, I highly recommend Martha Vaughan Vacation Rentals, as all the proceeds go to her Animal rescue farm and her hospitality and accommodations are far beyond any I have experienced previously, you will enjoy every moment of your stay in her homes. We obviously opted for Martha Vaughans home. The home ran us a total of 798.00 for our stay (with taxes and deposits) A hotel of similar comforts but with no privacy and kitchen would run about 792.00. Plus we didn’t have to eat “out” every night. we were refunded a nights stay + tax for the electrician coming in to hook up the hot tub. 698.00 . When it cam to the vacation home, I saved up over 3 months and put the money down the month before we departed, making this a cost we did not have to worry about out of our vacation spending money. To that end PREPAY!! It will take the stress off of seeing it coming out of your vacation budget while you are on your trip and sometimes you are offered a discount for it. Now we did have to stay in hotels on the way there since we opted to drive, but even that can be done in an affordable manner. I know everyone is all about travelocity and expedia these days (Hey, I am too, I even have the apps) but don’t discount traditional coupons either! We picked up a coupon book in the entrance of a Mcdonalds and there were hotel discount coupons. with these coupons we managed to get a “stayable ” not the nicest but far from the worst hotel for 42.00. For the sake of keeping this short “ish” I will list some more tips to an affordable vacation here. 1. Vacation in the off months. October to March tends to be much more affordable for stays. and entrance fees and fuel. 2. Buy ahead. Utilize Groupon, living social, local auctions and so forth to buy your entertainment in advance, you can usually do it over a year, so if you plan ahead, this makes the cost cheaper and spread out. 3. Don’t discount the free things an area has to offer. For example. Oregon has pristine beaches such as Ecola, Nehalem and Cannon Beach. All along the coast of both Oregon and Washington you will find parks, lighthouses, beaches, old forts and museums, fishing villages with tours and so forth. In Seattle the list is unending from the Fremont Troll to Pikes Place Market (unless you must buy something you see it’s free!) Gas works park and the Ballard locks and Golden Gardens beach. Use these things as fillers to main events. 4. Buy a city pass, which allows you a full 1,2 or 3 days of museum entrance and entertainment. Buy them when they are at their lowest price (December- February) typically. Or if you have several in your group who want to do one thing and the others want to do something else, don’t waste your money on things you don’t like, split your group up for the morning or afternoon! 5. Skip the popular do something different. Instead of taking our kids to pricey amusement parks, we opted for Triple play in Coeur ‘D Alene Idaho which can be found here. We skipped on the package deal at the Holiday inn express, booked the La Quinta with a pool and opted out of raptor reef. The kids played in the hotel pool but had hours of fun for the 4 of us for 50.00. Win/win! 6. Get back to nature. I think that’s self explanatory. 7. If you’ve opted for a vacation house or cabin/yurt. Cook or grill at home. The benefits not only economically are endless. 8. If you have rewards cards from smiths/krogers/albertsons etc…Use them on your fuel ups. In Montana we filled up for 2.72 per gallon and in Washington 3.50 (Down from 3.83) you’ll save tons doing it! 9. If at all possible, squeeze some time in for work, so you can make at least some of your time tax deductible!